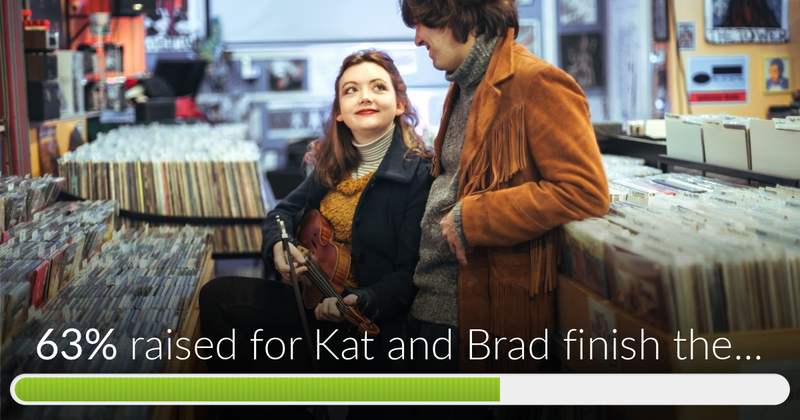 Fundraiser for Bradley Bensko by Kathleen Parks : Kat and Brad finish their record! Kat and Brad finish their record! As many of you may know, this duo has been hard at work for quite some time now making our record - since October. We've had such a wonderful time working in the studio recording the songs we've written together and separate. A lot of heart has gone into it and so far we've been fortunate enough to have our recording time covered. The tough part now is the production costs to bring this album to you all. As of late, we are not going to be able to get the record out in time for our release shows due to lack of funding. In order to do so we need at least $2,000 to have our CDs mastered, produced, cased, and shipped so that we may bring them to you and get them into your hands by our two CD release parties - Strange Brew in Norwich, CT on March 16th and Club Passim in Cambridge, MA on March 19th. Time is short with less than a month and a half away! We are really proud of how this record has been sounding and we want you all to enjoy what we've been getting so excited about! Our music means everything to us and your help would bring the rest of this dream to life. So we're asking anyone who can help, please do. Any amount that you can give will help, and although this is not a Kickstarter Campaign with rewards and whatnot - we have ways (shown below) in which we would like to show our appreciation. Mastering the album - the final stage in the recording process. Production costs - the casing, artwork, shipment, and promotion of the CD itself. After we've raised money for our initial goal - the making of the CD - we would love to press this record to Vinyl. If we press to Vinyl, we will need to raise another $2,000 for pressing, casing, and shipment. Any money raised after our original $2,000 will go directly to saving for our Vinyl. With the nature of our 1960's Pop flare, we feel pressing to Vinyl will be a great way for our listeners to enjoy this record. Thank you very much for taking the time to read this, and we look forward to seeing you down the road! If you haven't heard it yet - here is our first single off of the album - give it a listen via Bandcamp - and we hope you enjoy "I Really, Really Want To Be With You!" We've reached our $2,000 goal to release this album on CD - we can't believe how quick that was and we are just absolutely blown away by the generosity of our donors, thank you! 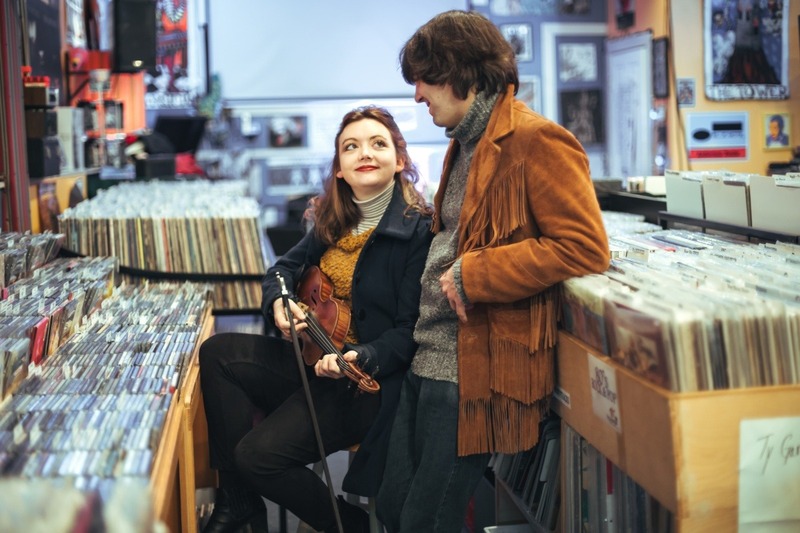 We are still raising money to release this album on Vinyl, so if you know anyone who may be interested in this project or donating to it - please share it with them. We are so thankful to all of our friends, fans, and families for their love and support of this project. "Kat and Brad finish their record!" has reached 63% of its goal. Thanks to all of our wonderfully generous donors! If you would like to make a contribution, we have a rewards system set up for anyone who makes a donation, so that you may bring something special from Kat & Brad home and so that we may thank you for doing so!